Hello Whimsyboppers! My name is Autumn and, like my mom (TJ Foster), I also collect things that have no function other than to make me happy!!! I’m kidding- us Foster girls have all sorts of uses for our unique things! But in all seriousness, I am a collector! Since I was a little girl, my parents used to take me to antique stores, thrift shops, yard sales and flea markets so it wasn’t a shock when I, too, was bitten by the “collecting bug”. When guests walk into my bedroom they are greeted with the feeling that someone’s watching them. This is true, of course, but it’s not the eyes of the monsters in my closet but instead my collection of vintage photographs! I don’t really know when these old photos first caught my eye, but something about these pictures intrigued me. My love for these photos has grown over time and I quite enjoy displaying them throughout my bedroom- something I highly doubt the people in these pictures would ever have expected! 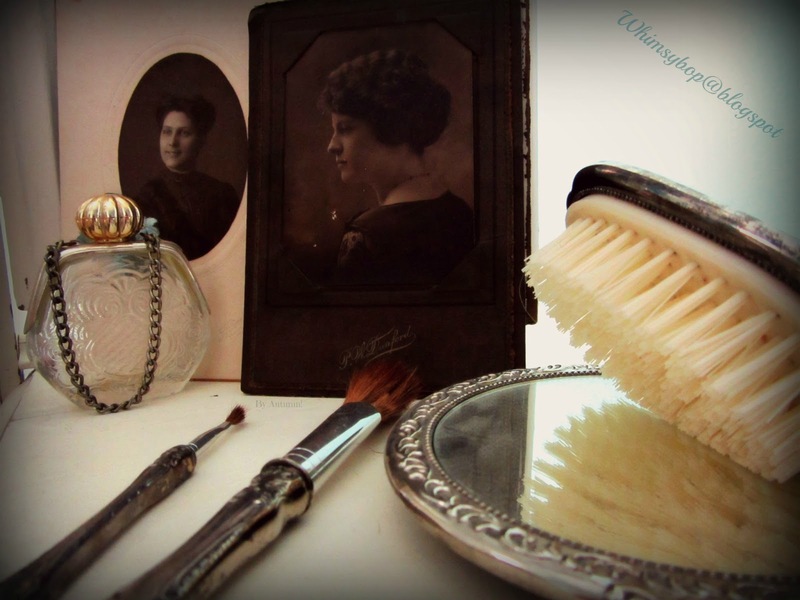 Typically, I usually find them at antique stores and flea markets with their prices ranging anywhere from 25 cents to hundreds of dollars, depending on the size, condition, and the vendor- although I try to keep my purchases to under $5. So what draws me to these photographs? Well, there are several reasons. First off, I love the mystery of the people in the photos!! I mean, unless they have names scrawled on the back, no one knows who they are. When I look at these photos I can’t help but wonder who these forgotten people were and what their life was like back when the picture was snapped. Questions can always be raised: Are they still alive? Did they have family? Did they have some adorable fairy-tale romance? Who knows! It’s so much fun to think up stories about the people and, trust me, I do! Sometimes I give them names to accompany these stories. 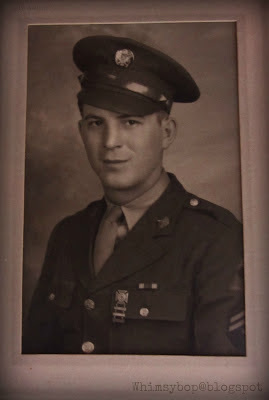 I named this handsome military guy "Jim" because of the vendor's code from the store where I bought his photo. Occasionally I'm lucky and don't have to make up a name because one is conveniently scrawled on the back to let me know exactly who this person was. 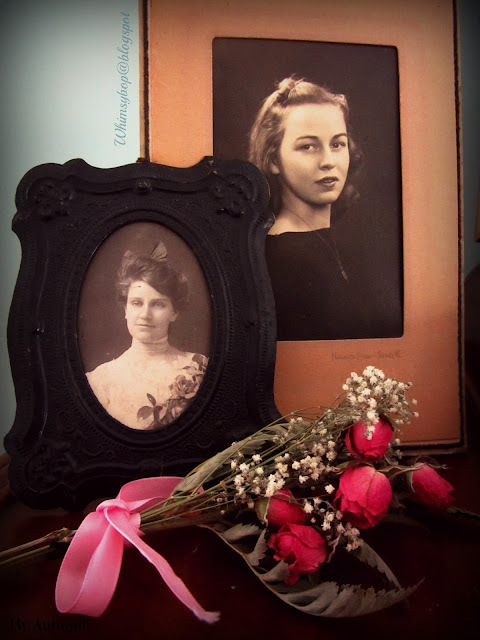 It's sad to think that these old photographs that should be in a family album somewhere have ended up in antique stores where random people like me buy them. Another reason I love these pictures is because I love the clothes! This fall, I am heading off to college to study Fashion Merchandising in hopes I will be making costumes for Disney, American Girl, Broadway or the film industry someday. I think this dream began because I’ve been collecting these pictures for a while and have always adored the incredible outfits these people are wearing!! It makes me wish that I could have a Victorian wardrobe of my own! Don’t get me wrong, we have some cute clothes today but DANG! Just look at the clothes back then!!!! The bathing suits, the picnic outfits, the skirts that wouldn’t dare go past your knees? They were stylin’ 100 years ago! These photos are just confirmation that I was totally born in the wrong era… *sigh* I just love those clothes! Don’t you? Another reason that I love these old photos is because they remind me of how short our time on this earth is and how we need to enjoy every moment that is given to us! 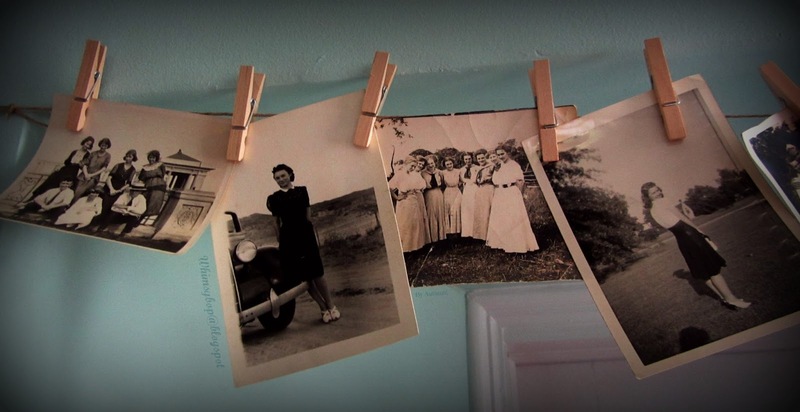 Through these photographs we can catch a glimpse of what life was like many years ago and just think, in a hundred years from now people will probably look at our photos in the same way, (weird, huh?). Some of these pictures are probably captured moments of the happiest times in these people’s lives and now they’re nothing more than someone else’s memories in the hands of a complete and total stranger. It’s weird looking at the face of a girl about my age who, at this point in time, would probably be an old woman. One thing we can learn from these smiling faces is to embrace the happy moments in life. There will always be tough times in everyone’s life, but we have to take advantage of the good ones! Keep smiling! Make memories! Leave something for the next generation to look back on and wish they could go back in time! My papa is the boy at the far left, his sister is top right and my grandpa is in the Navy photo! 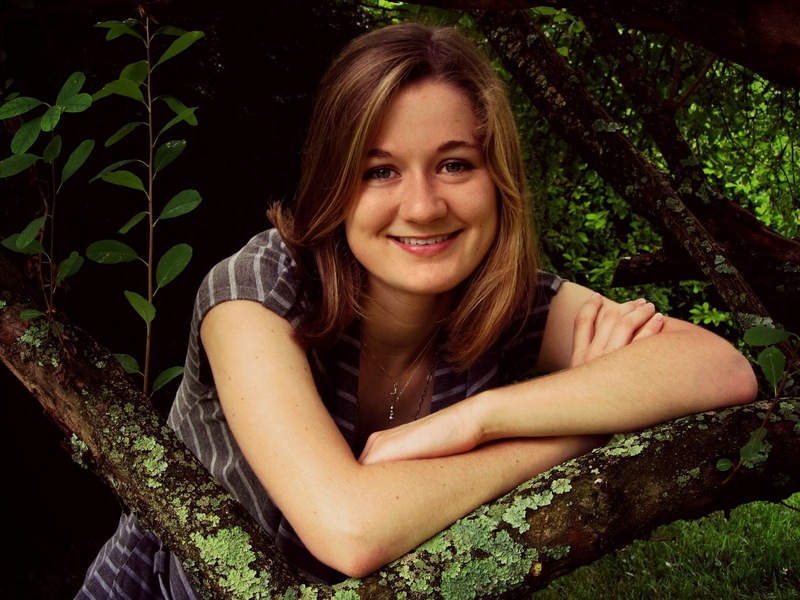 Our guest blogger is Autumn Foster, seventeen year old daughter of TJ. 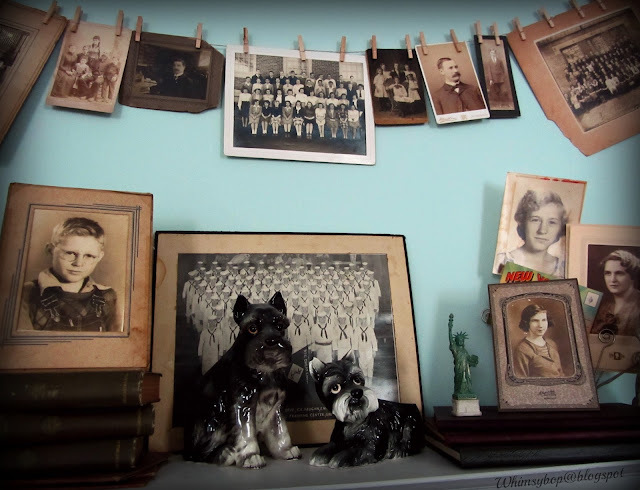 Her bedroom is crammed with many collections that she's been collecting through the years, which she will leave behind in the fall when she takes up residence in a college dorm. Hi Autumn! I love old photographs too. I am fortunate to have a album full of them and I know who they are. My mom inherited her family album and some of them go back to the civil war era. There are some that I have no idea who they are but I just love looking at them. 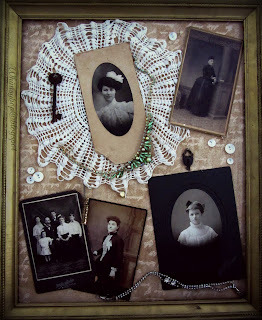 You did a great job on your post and I love the fashions of the past too!